These'll make you a hopeless ramen-tic. 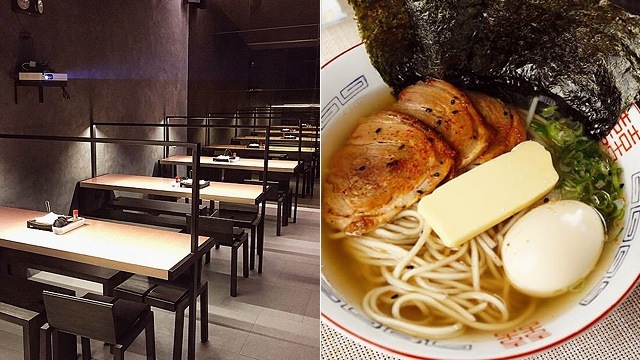 (SPOT.ph) Ramen is one of those rare trends that have made the not-so-easy transition to becoming a staple in the local food scene. Not so surprising really, when you consider our love for Japanese food. 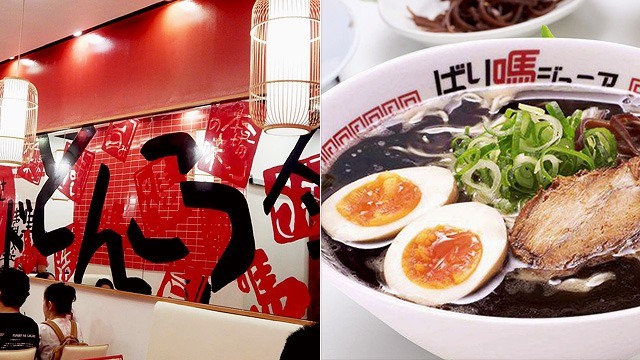 With the multitude of ramen shops in the Metro, from hidden finds to popular chains, it’s more likely that you already have a favorite. But, there are still several ramen shops that have stayed under-the-radar, yet are deserving of attention, too. 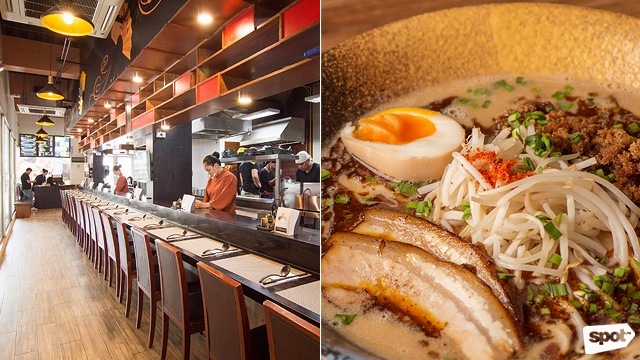 On your next ramen run, why not try something different and head to these places? They've got multiple branches around the Metro, but Ramen Kuroda is still pretty underrated—though they might just become one of your favorites with their budget-friendly ramen, priced below P200. Just because their ramen’s easy on the pocket doesn’t mean they skimp on quality: For starters, their noodles are made fresh and in-house to keep them firm and tender. 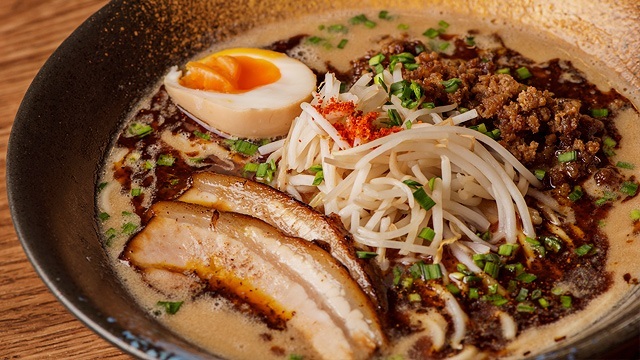 If you’re not afraid of bold flavor, have the Kuro Ramen. The tonkotsu-based broth is infused with roasted-garlic flavor that makes it rich and smoky. Plus, you get a free noodle refill with every à la carte order. See a list of Ramen Kuroda branches. 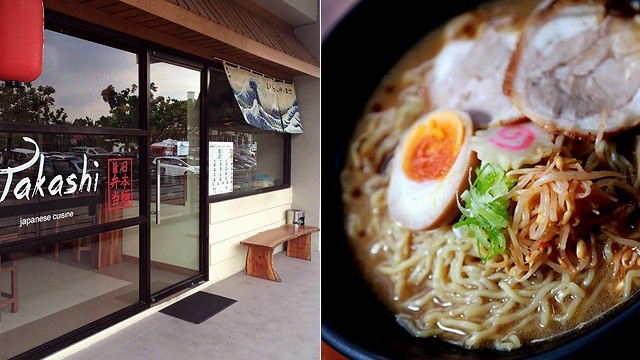 Banawe isn’t just a home to lots of Chinese eats—it’s also home to cozy ramen shop Ramen Shokudo. Almost everything, from the noodles to the chicken-and-pork broth base, is made in-house by Head Chef Atsumu Shimada and Chef Wataru Hosokawa. You can never go wrong with the signature Toriton Shoyu, with a subtle soy sauce base plus tender slices of pork, though those looking for something heavier and richer on the palate should opt for the Toriton Shio. Pair your bowl with the addictively crunchy Curry Cheese Rolls and have yourself a winning meal. With banners and a long counter where customers can slurp their noodles and watch as chefs prepare bowl after bowl, Araya Ramen channels Japan’s hidden ramen joints. Bowls are affordable but more than satisfying: Have the Araya Special, which comes with a light yet tasty pork broth, thick and tender noodles, and toppings that make this bowl look straight out of a Studio Ghibli film. With the limited space, seating can be difficult so be sure to drop by early—and don’t forget to order a plate of gyoza, too. 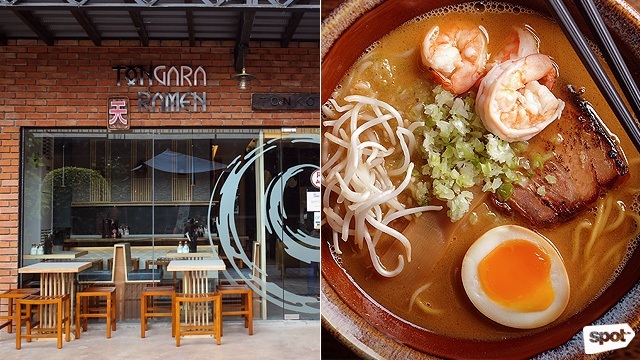 Araya Ramen is at 107 Dela Rosa Street, Legazpi Village, Makati City. Ramen Daisho has been around for almost five years now—they first opened in 2013—a testament to how good their ramen is. This joint offers four different soup bases—shio, shoyu, Hakata, and miso—and three kinds of noodles matched specifically to these bases. What sets them apart is the ukkokei broth they add to their bowls, which is made using ukkokei chicken, to give their ramen a rich and milky flavor. A must-try is the Hakata Tonkotsu ramen with silky noodles and all the usual fix-ins like a soft-boiled flavored egg, bamboo shoots, and a slice of chasu. Best part? A regular bowl will only cost you P300. Ramen Daisho is at Unit 2 Sunshine Square Liberty Center, 312 Shaw Boulevard, Mandaluyong City. Aside from offering affordable bento boxes—at least, in their Makati branch—and adorable panda, and bunny rice meals, Takashi also carries ramen. If you’re not afraid of heat, get the Volcano Ramen, with a broth so thick and fiery, the noodles take on its bright red hue. You can set the spice level of your ramen to anywhere from one to five—though a spice level of three is enough to have you feel like your mouth is on fire. Takashi is at Pioneer Center Supermart, Kapitolyo, Pasig City; and G/F Elizabeth Place Condominium, 332 H. V. Dela Costa Street, Salcedo Village, Makati City. 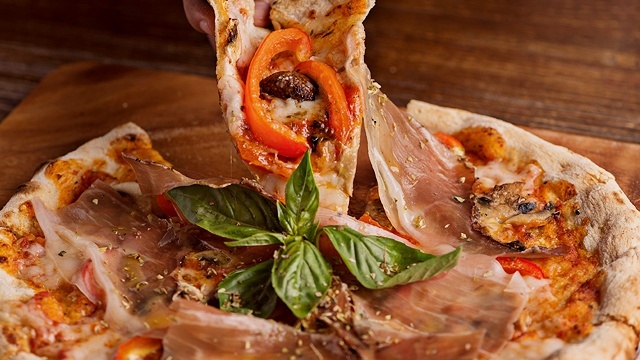 Anyone from the East of the Metro knows Marikina City is a treasure trove of good eats. One of the newest in the area is Tongara Ramen at restaurant hub Lamp Quarters. 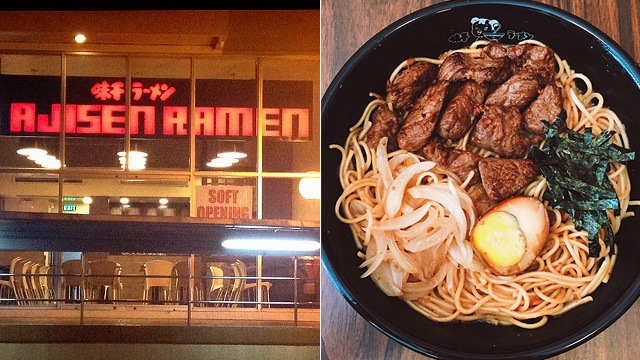 This franchise from Tokyo flaunts ramen made with a special tongara, or pork-and-chicken, broth. The chicken gives their bowls, like the signature Tongara Ramen, a subtle milky sweetness, making their ramen stand out from the rest. Tongara Ramen is at Lamp Quarters, Gil Fernando Street, Marikina City. Tucked away at the end of Aguirre Street, with a nondescript sign that barely announces its presence, Mensakaba Geishu is easy to miss. But ramen enthusiasts from the South know exactly where to look. Bowls are affordable but flavors are thick and bold—the Miso has broth that is dense with savory-sour flavor, while the Shoyu is on the lighter but no less flavorful side. The ramen comes with springy noodles you can request to have cooked al dente, and are topped with the standards: A runny flavored egg, bamboo shoots, leeks, and slices of chasu. Mensakaba Geishu is tiny with only around 12 seats by a counter, so be there early in case you drop by on a busy day. 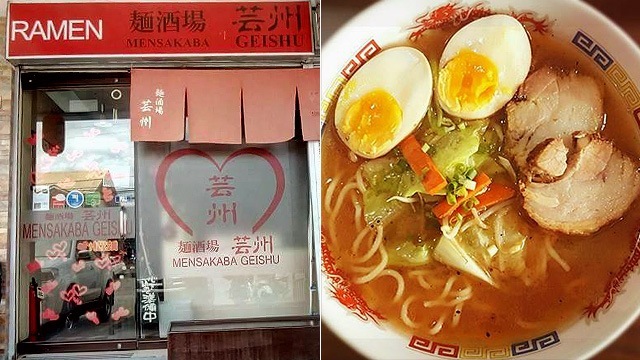 Mensakaba Geishu is at Southland Apartelle, Aguirre Avenue, BF Homes, Parañaque City. This ramen chain has several branches around the Metro, and over 700 around the world, making it easier to get your fix. Since 1968, they’ve been offering bowls made with their signature “white soup” tonkotsu base, giving their ramen a silky richness and a special Ajisen oil that enhances the broth’s porky flavor. Their signature Ajisen bowl will get you the usual chasu slices, leeks, cabbage, mushrooms, and a soft-boiled egg. If you love spicy ramen, have the Spicy Ajisen Ramen, with the chili served on the side to let you control its heat level. 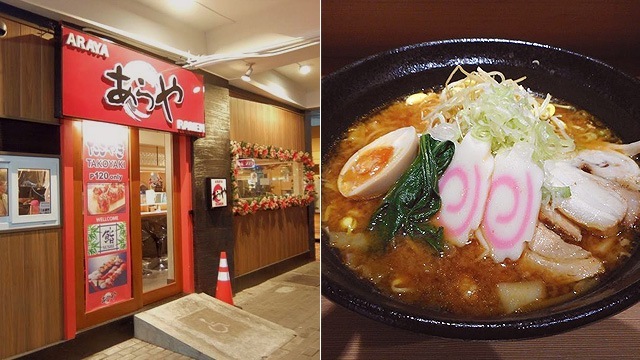 See a list of Ajisen Ramen branches. 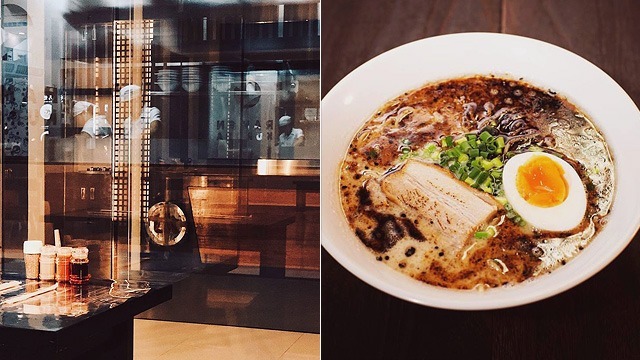 With their hip industrial motif and a neon aesthetic before it was cool, Oyasumi Ramen immediately clues you in on the fact that they aren’t your typical ramen joint. Ramen here is done Yokohama-style, using a pork-based broth that’s simmered for at least seven hours. Even their most “basic” bowl, the Iekei, isn’t exactly traditional, with noodles, nori, and stewed spinach, swimming in a rich pork-y broth, but things only get wilder from there. Fans of a refreshing sweet-sour dimension will welcome the Tomato, while those who aren’t afraid of fiery flavor will love the Kara Miso with Momiji pepper and chili powder. 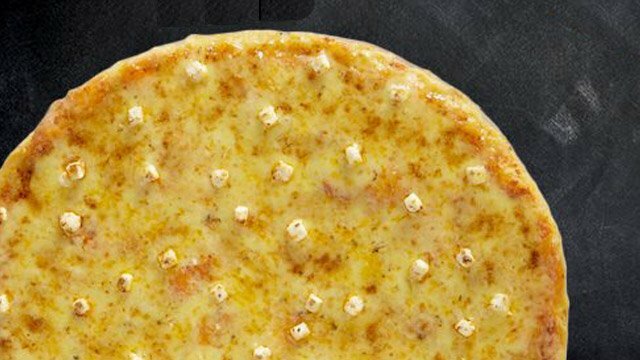 Plus, if you run out of noodles and aren’t tired of carbs yet, you can have your soup turned into a Cheesy Risotto with Parmesan and mozzarella. 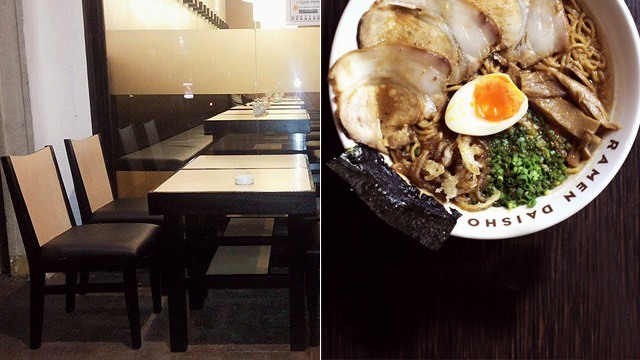 Oyasumi Ramen is at 308 P. Guevarra Street corner Sea View Street, Little Baguio, San Juan City. This ramen shop from Hiroshima takes pride in their tonkotsu shoyu base, which they declare “Japan’s strongest tonkotsu broth” (with strongest usually meaning ‘most flavorful’ in Japanese). The umami­-rich broth, made by simmering a mix of chicken and pork bones for over six hours, serves as the base for their signature Siroton ramen with chasu slices, spring onions, kikurage (or mushrooms), and sesame seeds, which, amazingly, will only cost you P190. Ramen Bari-Uma Jr. is at 3/F SM City San Lazaro, Sta. Cruz, Manila.